Who is All About Spas? 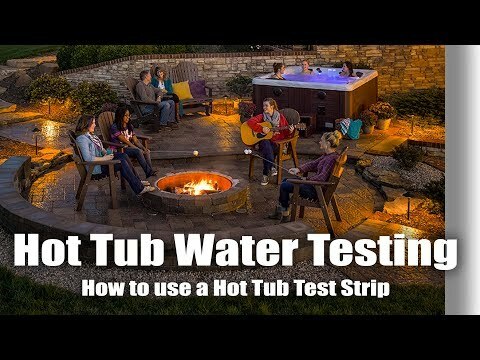 There are a number of different ways to test your hot tub water. By using a liquid test kit, a digital tester, or by using test strips. We are going to show you how to use test strips. First, look at the bottle of test strips and find an expiration date. Make sure your strips are not expired to get an accurate measurement. The date will be printed on either the side or bottom of the bottle. Next, make sure to turn off all of the jets and pumps. Take a test strip, dip it into the water for a second, and pull it out. Lastly, hold the test strip level for 15 seconds, and then compare the colors on the strip to the color chart on the bottle. If the colors are not in the ideal ranges, adjust your water, always starting by balancing the pH first. Then move on to the sanitizer (bromine/chlorine) and calcium hardness levels.